Usually when the Steelers head to Baltimore it’s the biggest game of the season- this week it’s true – but for not the usual reasons. The Ravens are having their worst season in a very long time, and the Steelers need to keep winning to get to the postseason. Here’s our preview of the game and how we think it will play out in Baltimore Sunday. 1. Keep the Foot on the Gas – 35 points and over 475 yards. That’s what the Steelers have been putting up since their loss to the Bengals when Ben Roethlisberger returned to the lineup. Yes, the Ravens defense will give up a lot, and the Steelers need to keep playing as they have, with an offense that is the best in the NFL. 2. Learn from Mistakes – Last week the Steelers D allowed a ton of yards and 27 points to Denver in the first half. They should be able to hold the beat up Ravens in check Sunday, but can’t get cocky. The defense stepped up against the Broncos, and need to do that earlier against the Ravens. 3. Play Smart – One way a good team will lose to a bad is rather simple – penalties, turnovers and allowing big plays. The Steelers can’t allow the Ravens to hang around, and they will do that if they do dumb things like give up big plays and turnovers. 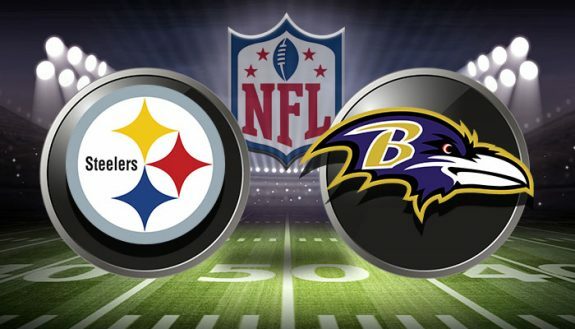 Be the first to comment on "Steelers Gab 2015 Week 16 NFL Preview – Pittsburgh at Baltimore"